Days Inn Edmonton South Hotel Blog: Take In Some Shopping At The West Edmonton Mall! Take In Some Shopping At The West Edmonton Mall! One of the largest malls in the world - and definitely in all of Canada - the West Edmonton Mall is more than just a shopping centre, it’s Alberta’s number one tourist destination. You’ll find more than just the opportunity to shop some brand-name stores with fun at every turn! Over 490,000 m2 of Fun! The West Edmonton Mall is the second largest mall in all of North America spanning over 490,000 m2. This is the perfect place to shop for souvenirs or new items in your closet with over 800 stores and services. This includes popular brands such as Abercrombie & Fitch, Aldo, Banana Republic, Bentley and the list goes on. Of course, no one would blame you if you didn’t see them all! Along with these stores, you’ll find 9 attractions including an aquarium, waterpark, ‘Galaxyland’, bowling alley, ice rink, mini golf, ‘Alien Outbreak Escape Room’, and a ‘Mirror Maze’. That’s right! There’s even more to the massive West Edmonton Mall in terms of entertainment. See the mall after dark with the Scotia Bank 3D theatre, Rich Bronson’s Comic Strip, or Envy Nightclub. Of course, Envy nightclub will have a 19 and older age restriction but other attractions are open to the public! Over 100 restaurants are also found throughout to help ease your hunger pains while shopping! You can find more information on pricing, finding locations within the mall, hours and more on the West Edmonton Mall website. 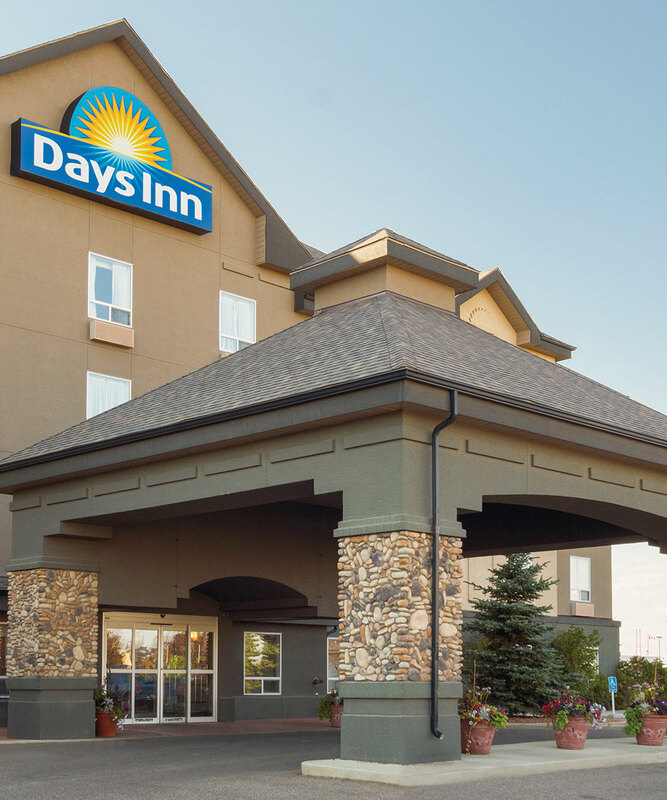 Days Inn Edmonton South is happy to provide the lower Edmonton area with a great selection of luxury suites. You’ll find a comfortable, clean, and beautiful accommodation when you book our hotel located only a short 15-minute drive from the West Edmonton Mall. We hope you enjoy your stay with us!